QuickStem Push In Tire Valve Stem is designed to quickly replace torn, damaged or leaking tire stems. Just push-in, tighten nut and inflate. You do not need to break the bead or remove the tire from the rim. 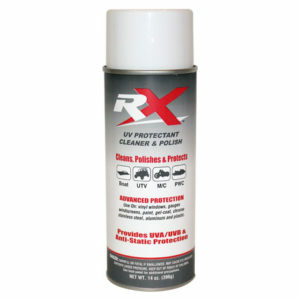 Use on Side by Sides, UTV, ATV, Motorcycles street/dirt, Trailers, Trucks, Autos and Lawn mowers. How does it work? When you insert the QuikStem into a rim and tighten down the nut the rubber grommet expands to more than a third of the size of the rim hole creating a seal. The seal also goes around any small irregularities or imperfections your stem hole might have. The skirt of the grommet seals down tight and expands to more than a third larger than the size of the valve stem hole, creating an excellent seal. Keep a pair in your toolbox to fix a flat quickly from tire stem damage or leakage. Use on trailers to replace those sun rotted valve stems before you break-down on the road. • Works on any tubeless rim. Rated up to 200psi. • Fits .453″ rim holes which is the most popular size in power sports. • Fits your SxS, UTV, ATV, Motorcycles street/dirt, Trailers, Trucks, Lawn Mowers and Auto’s. • Use for quick fixes to flats from tire stem damage or wear. • Constructed of Alloy Steel, will not rust. Quickstem push-in valves are one of those spare parts that can stow easily in a toolbox or tool pouch. They are designed to quickly replace torn, damaged or leaking tire stems, and the valves provide a quick and permanent fix that can be done while out on the trail.